With the upmost honor, glee, and celebration we could ever imagine, our team is excited to annouce the newest cover and issue to our family. 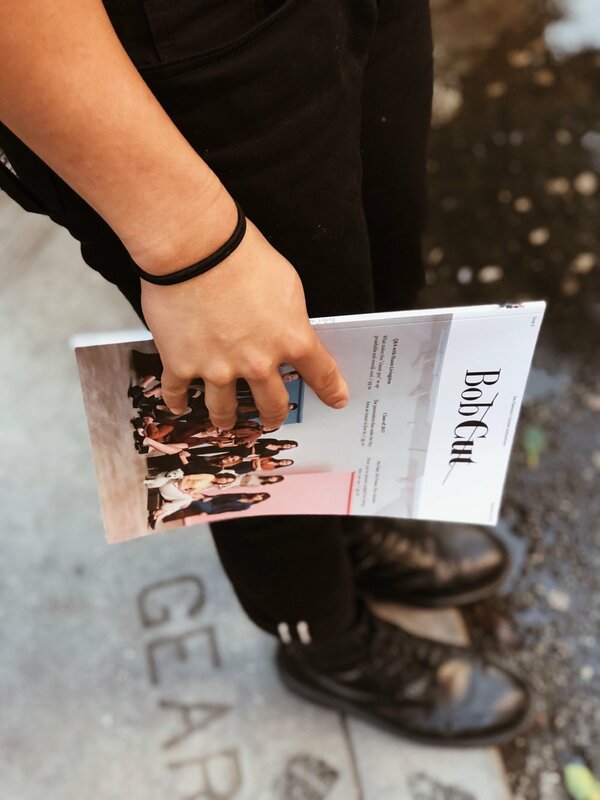 Issue 5 is incredibly important to us and incredibly needed in this Bay Area publishing climate. As publications old and new try to wow their audiences with dynamic covers, we wanted to bring it back to the basics. Every person featured on the cover have affected Bob Cut in a positive light that made us a better publishing brand. We strive for excellence but are grounded in our mistakes: everything is water off a duck's back. To all featured on this anniversary cover, we are happy to honor you and all that you do. Because you do you, so well and we would never want that to change. Hello Issue 5, welcome to the family. WHO'S EXCITED FOR ISSUE 5? Sign up and let us know!